2019 is the year full of new and exciting launches in automobile industry with Volkswagon to pull off something unexpected for the car enthusiasts. This automaker is about to introduce its all new T-Roc SUV by this year end. Along with this, Volswagon has another exciting news with its another model launch i.e. T-Cross in the year 2021. 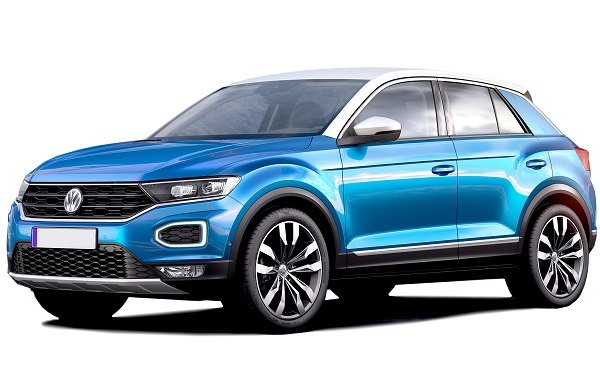 The T-Roc is a Hyundai Creta sized SUV is sold mainly in the Europe market and Volkswagon is planning to take further the completely built unit route the T-Rox SUV in India as well. With the use of leeway that is given by Indian government to car makers to import upto 2,500 vehicles without having to go through the India-specific homologation process. With this, all what Volkswagon has to do is import the right-hand drive version of the T-Roc compact SUV to India just by paying the required import duty. As far as pricing is concerned, Volkswagon T-Roc is expected to range between INR 17 lakh and 20 lakh respectively. In Indian market, this SUV will rival the Hyundai Tuscon and the Jeep Compass priced at Rs.18.74 lakhs and Rs. 15.45 lakhs respectively. With this launch SUV buyers will be given a hope and a positive vibes that Volkswagon’s T-Roc will lead to good sales for the upcoming model T-Cross, which will be a much cheaper SUV that will be priced between the Hyundai Creta and the Tata Harrier. A year later of T-Roc SUV, Volswagon will launch T-Cross in 2021 with an official unveil. Notably, the company is yet to begin testing the T-Cross on Indian roads. For all of us, it is just a wait of a couple of years. T-Roc SUV by Volkwagon will be stuffed with many features and creature comforts. It will be having turbocharged, direct injected petrol engine as standard. In Europe, the Volkswagen T-Roc gets 3 turbo petrol engines – in 1 liter (113 Bhp-200 Nm), 1.5 liter (148 Bhp-250 Nm) and 2 liter (187 Bhp-320 Nm) displacements. Additionally, the smallest motor gets a 6 speed manual gearbox as standard, the 1.5 liter unit gets both 6 speed manual and 7 speed twin clutch automatic gearboxes. The 2-liter motor gets a 7-speed, twin clutch DSG automatic as standard. As per the sources, ‘the bigger engine also gets an all wheel drive system while the smaller ones drive only the front wheels. It remains to be seen which one of these engines Volkswagen picks for use in the T-Roc that will be launched in India’.